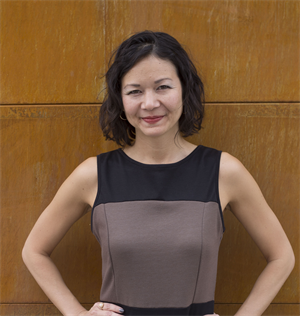 Christina Aldan is a TEDx Speaker, Trainer, and Consultant whose company, LG Designs, offers small and micro businesses brand consulting and creative content for everyday media. 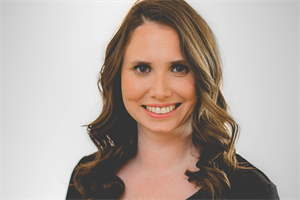 With over a decade of experience in the digital advertising realm, Christina is highly regarded for her approach to business, partnering with clients to find unique strategies that ensure their advertising goals are met. Christina builds connections through her keynote addresses, workshop, and technological education. She uses these tools to help individuals and businesses cultivate value in everyday media. She also served as Chief Marketing Officer for PrayerSpark and currently serves as Marketing Coordinator for Starmark1. 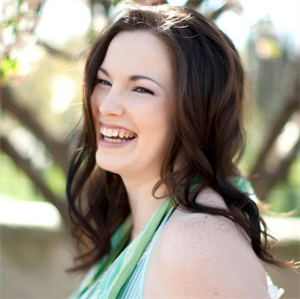 Christina uses her charisma and expertise to inspire others by mentoring women in business like herself. She also sits on state and local boards supporting women in tech, entrepreneurship, and children with learning disabilities. As a passionate technologist it is my greatest joy to build solutions that bring organizations value not for 1-5 years, but that are built to flex and grow over the demands of the next 50+ years. I have been fortunate to work with some of the best minds in enterprise-scale data, services, dev-ops, BI, and people management. My knowledge is the culmination of aprox 20 of the best professionals in these fields spanning more than 100 years of expertise. I am in a unique position for a developer to be as business savvy as I am technically gifted. My goal is to continue to work with the best, and to continue striving to be the best technologist I can. 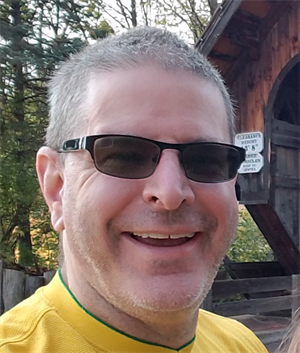 I'm a Solutions Architect with over 20 years of experience in building software systems. I started out as a Java developer and then switched to .NET in 2003. I've also done significant work with SQL Server and Oracle. 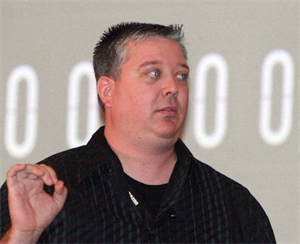 I'm a Pluralsight author and have presented at code camps and to user groups throughout the Midwest.. In addition to my Pluralsight courses and speaking experience, I've done lots of work in helping to mentor others in how to design and build better software systems. I try to bring a pragmatic approach to everything I do, making sure the software I build is simple, understandable and balances responsibilities between different components of the system. When speaking or teaching, I emphasize real world scenarios encountered by developers every day and show how to solve them so you can be more effective at what you do. I am a passionate developer who loves to solve problems and explore technologies through code. Throughout my short career I've worn many hats having consistently worked with a small and fast moving team trying to figure it out and ship products quickly. Currently working at Sift, a Detroit based startup, which gives large companies tools to better understand their people. Focused on building out our back-end with Node.js and our infrastructure with the help of AWS. I am a trainer with a deep background in software development (25+ years of software development before moving to training). I have a strong interest in functional programming. Beyond my interests in software development I also enjoy board gaming, reading comic books and learning more about ornithology. 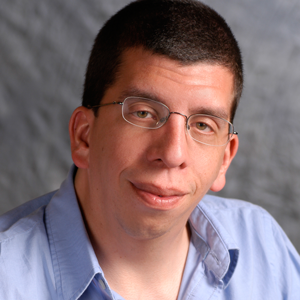 Stephen Cavaliere is a Senior Software Engineer at Pillar Technology. He is also a consultant, speaker, and mentor. Hacking since 2004 and working professionally since 2010, Stephen loves to find ways to make things better with code. Currently, he has a passion for all things Angular. You can see that in his contributions to the Angular CLI, where he is consistently working to improve the user experience. While not behind a computer, Stephen can be found spending time at dog parks with his dog, Zeke. Preston has a passion for finding the best ways to get things done. This passion has led him to study Lean and Agile, which he uses on a daily basis to help his teams deliver awesomeness to the client. Though he started his undergraduate career studying music, Preston quickly realized that his greatest joy did not lie in music but in seeing and helping others learn, grow and accomplish greatness. Not only does he love solving all sorts of difficult problems with elegant solutions, he also wants to empower and uplift others to solve any conundrum that arises. Over the last 12 years, he has assisted more than 50 different groups and organizations in transforming their operations with Lean and Agile principles. He has worked in such industries as pharmaceuticals labs, electronics assembly, food production, furniture manufacturing, product development and supply chain management. The companies and groups he has helped include: HON, Pepperidge Farm, Novartis, International Rectifiers, Johnson and Johnson, Merck, Pfizer, YRC, VML, Ford and Sprint. 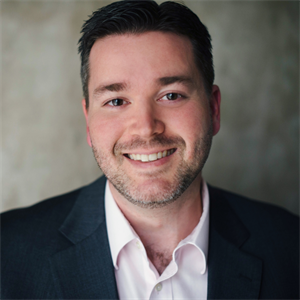 Preston currently is a Managing Partner and Expert at Smart Opex providing transformational coaching for Lean and Agile journeys. When Curtis is not out enjoying the finest BBQ that Kansas City has to offer, he is busy crafting ways to make life easier for everybody by automating all the things. When not working, he is playing video games or teaching others how to be lazy just like him. 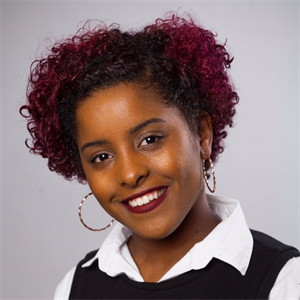 Gabrielle Crevecoeur is a technical evangelist at Microsoft specializing in open source development. Her current focus is Node.js. Gabrielle is a recent graduate of Florida State University, where she majored in computer science. She is now attending the University of Illinois at Chicago, were she is working to her Masters of Science in Electrical Engineering. When Gabrielle is not programming, you can find her playing video games or watching Netflix. 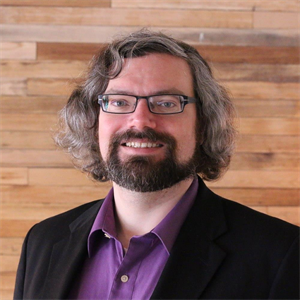 Tom Cudd Systems Architect, VML, Inc.
As an advocate for DevOps within my organization, I've helped bring about a positive change in the way Development and Operations teams work together at VML. We've created homogeneous automation in an technical environment driven by the needs of each individual client on a different stack. We support application delivery and site reliability efforts for clients across the globe. 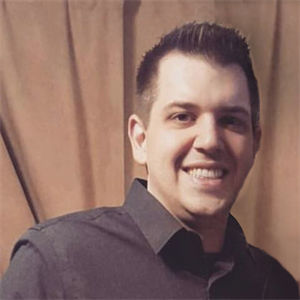 Chris DeMars is a ui developer for United Shore located in Troy, Michigan. He is an instructor and teacher assistant for the Ann Arbor and Detroit chapters of Girl Develop It. 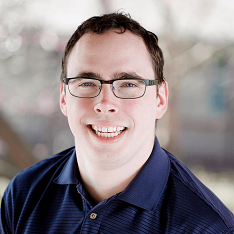 Chris loves coming up with solutions for enterprise applications, which include modular CSS architectures, performance, and promoting Web accessibility. Block__Element--Magic: CSS Modularity for the masses. Cameron Dershem - former Gaffer/Best Boy with a degree in Cinematography turned Software Developer. 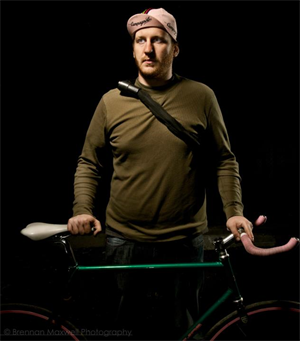 Outside of being an avid cyclist, wishful randonneur, and dedicated velodrome attendee, he enjoys cast iron for cooking, coffee for drinking, vim for editing, git for versioning, and Ubuntu for Linux-ing. Beyond being known for an impeccable fashion sense and talent for hair farming, Cameron is (in)famous for being a solutions focused, open source enthusiast, always wanting to do more. Cameron is also founder of pinkhatbeard, a consulting company focused on solving interesting problems, and co-founder of ocelli - a startup in the IoT space working to make the Internet what we always imagined it would be as kids. 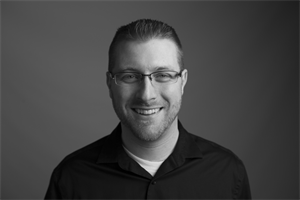 Bill is a Solutions Architect with VML, focusing on delivering .NET solutions for our clients. Over the last 15 years I've worked in enterprise IT, first in customer service, then in infrastructure, then as a developer, and now as a architect of various technical solutions. During that time I've done everything from troubleshoot dial up connections in rural Nebraska, rebuild datacenters and architect Asp.net cms' to handle 400,000+ concurrent users. 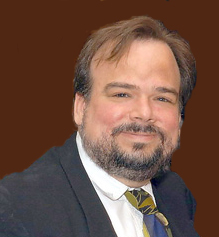 Clay Dowling is a software consultant specializing in agile practices and extremem programming techniques. 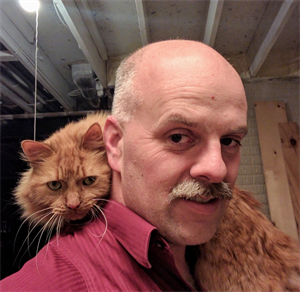 In his spare time he builds machines driven by microcontrollers and negotiates with his cats for access to the keyboard. Climbing the technology mountain and halfway up the side. Experience in .Net, mobile applications and more recently voice interface development. Dabbles in iOT & AR/VR. Focusing on coding for humans and choosing the right tool for the job. 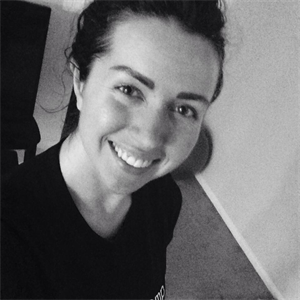 Heather is a passionate coder and entrepreneur. She has experience working with Fortune 500 companies building enterprise level mobile and .Net applications. She spends her spare time at tech conferences supporting the growth of new developers of all genders, ages and backgrounds. When not coding, Heather spends her time as a competitive equestrian and learning the art of mounted archery. Keith Elder is the Senior Technology Evangelist at Quicken Loans, the nation’s largest online mortgage lender based in Detroit, MI. He is an experienced technologist, systems administrator, software engineer, speaker, trainer and all around geek. He has spoken throughout the United States at major technical conferences on topics ranging from various new technologies, software architectures and soft skills. For over 12+ years he lead the Engineering Tools team as the Director of Software Engineering within Quicken Loans. When not sitting in front of a computer he spends the majority of his time as captain of the vessel Sea Sharp navigating the waters in the Gulf of Mexico in search of large pelagic fish. You can read more about Keith’s interests, hobbies, rants and raves on his blog at http://keithelder.net/ and follow him on twitter at http://twitter.com/keithelder. 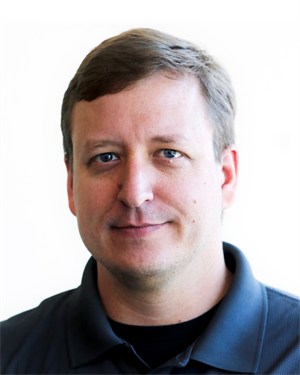 Dave Fancher is the founder of Achiiv Solutions in Carmel, Indiana, Microsoft MVP for Visual Studio and Development Technologies, author of The Book of F# (No Starch Press), and author of Functional Programming with C# and Building F# Type Providers on Pluralsight. He has been building software for more than 15 years with an emphasis on Microsoft technologies and functional programming. 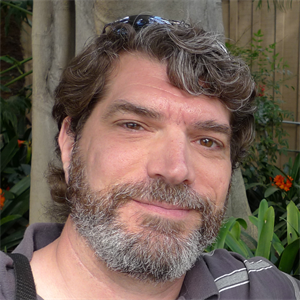 Dave is active within the software development community and has spoken at numerous events throughout the United States. When not writing code or writing about code he enjoys spending time with his family, watching movies, and gaming on his Xbox One. I'm a software developer from Indianapolis, IN. Professionally, I work mostly with cross-platform mobile technologies, React, and Node on AWS. For fun, I love dabbling in other languages, working on new IoT projects, and making apps that help people learn or build good habits through gamification. Bitcoin: What makes it Secure? 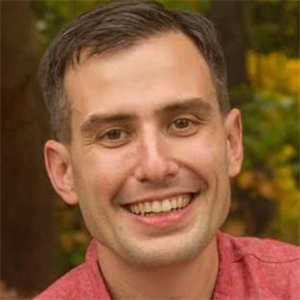 Jeffrey T. Fritz is a senior program manager in Microsoft’s Developer Outreach Group that works with the community on open source projects and the new Microsoft .NET Core framework. As a long time web developer with experience in large and small applications across a variety of verticals, he knows how to build for performance and practicality. More recently, he has worked closely with developers to teach them to succeed with new tools and frameworks from Microsoft and Telerik. 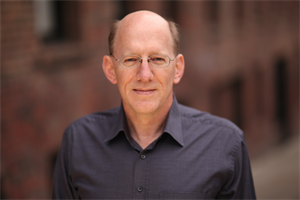 David Giard is a former accountant and a former biochemist, who has been developing solutions using Microsoft technologies for over 2 decades. Currently, David helps people build solutions in his role as a Microsoft Technical Evangelist. 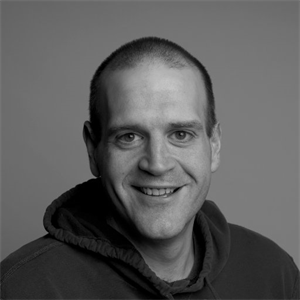 David has been very active in the developer community, speaking at numerous major conferences, code camps, and user groups around the world; helping to lead user groups; and helping to organize conferences and other geek events. He is the host and producer of the mildly popular online TV show Technology and Friends. 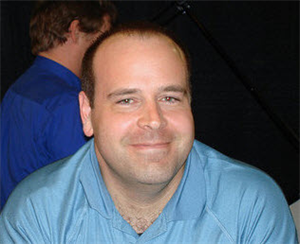 He is the co-author of the Wrox book Real World .NET, C#, and Silverlight. You can read his latest thoughts at www.DavidGiard.com. His hobbies include video, photography, sports, and embarrassing his sons. 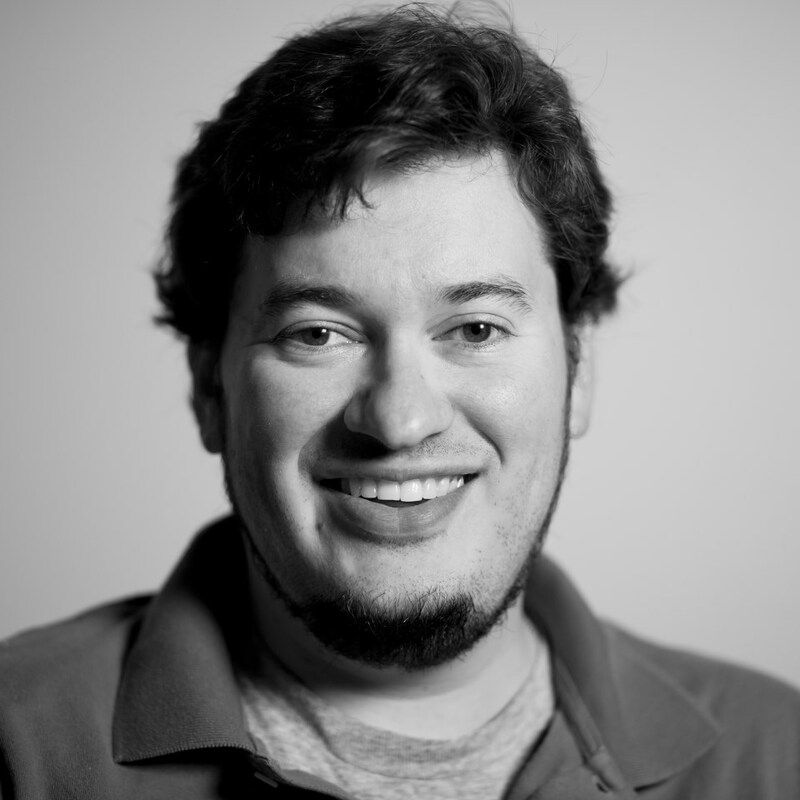 Alex Goodman is a Senior Software Engineer at Axia Technology Partners, and has been at AxiaTP since 2013. Alex is one of the lead software engineers on AxiaTP’s proprietary Unified Communications platform Kerauno. With its initial release in October 2014, Kerauno created an immediate disruption in the industry and has been identified as “breaking the mold” in the Unified Communications space. Kerauno was recognized as “Best of Show - Best Cloud Solution” at ITExpo 2016 and “2016 UC Product of the Year” by TMC. Alex holds a BS from Purdue University in Computer & Information Science and a BS from Purdue University in Applied Mathematics. 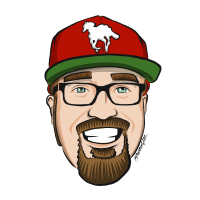 Hod Greeley Developer Advocate, Couchbase, Inc.
Hod is a Developer Advocate for Couchbase, living in Silicon Valley. He has over two decades of experience as a software engineer and engineering manager. He has worked in a variety of software fields, including computational physics and chemistry, computer and network security, finance, and, for the last 8 years, mobile. Prior to joining Couchbase in 2016, Hod led developer relations for mobile at Samsung. He cut programming teeth on C. He still remembers figuring out pointers during a plane flight reading in K&R. After more than 15 years of teaching technology skills at the high school level and serving as Dean of Instructional Technology, I began teaching adults to become software developers. As an Instructor at Grand Circus, I teach intense 10-week bootcamps, primarily in Java, to get students launched in new careers. I also teach workshops on Unity3D development. I am an experienced software engineer with a unique ability to work with diverse groups and environments to complete the task at hand. Expertise combined with my flexibility to work within different sectors of an organization, whether presenting product demonstrations with the sales group or leading the software team, make me a strong member of any team. 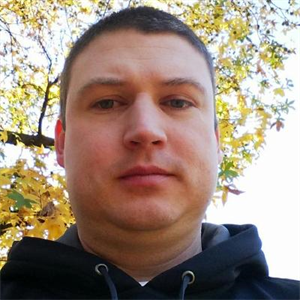 Jay is a code wrangler, software consultant, and co-owner of Arana Software. He has been developing on the web since 1995, when the Blink tag lured him away from Visual Basic 3, and has been recognized as an ASPInsider and six-time Microsoft MVP. Recognizing that the greatest application performance bottleneck is a developer’s time, Jay’s continuing quest is for frameworks, modules, tools, and practices that make developers stronger, fitter, happier, and more productive. Originally from Rochester, New York, he has lived in Michigan since 2003. He likes Michigan, and considers it his permanent home, but will always remain a New Yorker at heart. 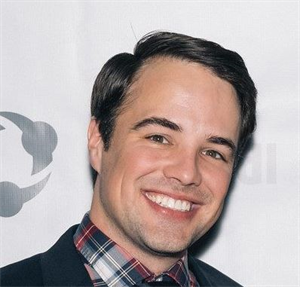 Eric Helin is a Software Engineer on the XS-1 team which works on the flag ship Quicken Loans product Rocket Mortgage. He has worked in technology for the last 18 years and doesn't plan to stop anytime soon. He is an experienced software engineer, blogger and technology enthusiast who codes for fun and loves learning new things. 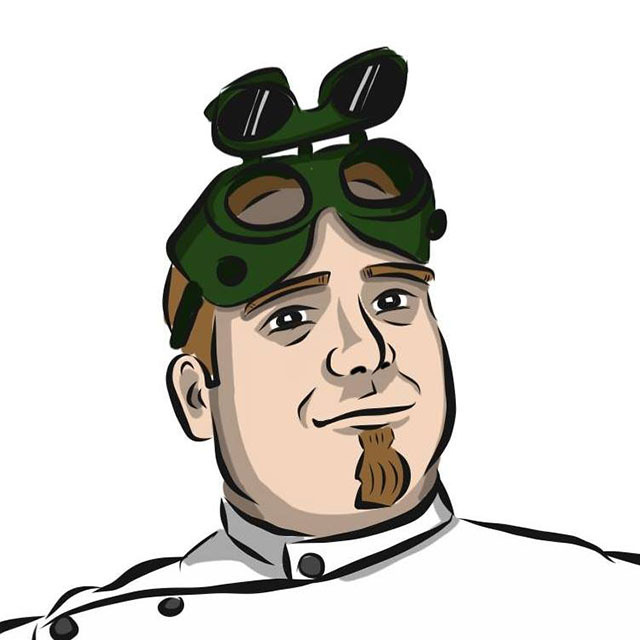 Check out some of his technology thoughts on his blog (https://erichelin.wordpress.com) or his continuing technology bucket list experiment (http://www.tgimba.com). I love to code, teach and share my knowledge with you. I have been programming and designing web applications for over 20 years. I am a frequent speaker at conferences, meetups and community events. I regularly post to my blog on web and mobile development at http://digitaldrummerj.me. In my free time, I help to put on hackathons for developers to code it forward to help Non-Profits with their IT needs as part of the Arizona Give Camp. I also co-organize the Ionic Arizona and Phoenix Version Control meetups. I live in Maricopa, Arizona and have worked at Intel for almost 20 years. At Intel, I am part of amazing department called Freelance Nation where I get to freelance around the company picking work that intersects with my passions, skills and company needs while passing on the work that doesn't excite me. If you see me in the hallway, come up and say hi. 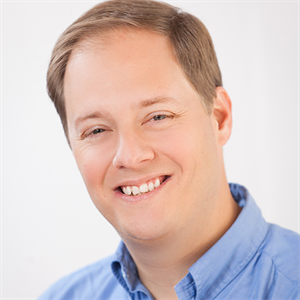 Caleb Jenkins is an international speaker, author and 6 time Microsoft MVP award recipient; He currently works at Quicken Loans in Detroit (remotely from his Texas home). An entertaining and informative speaker that approaches software from a fresh perspective that spans UX, Agile and enterprise customers from across the globe. 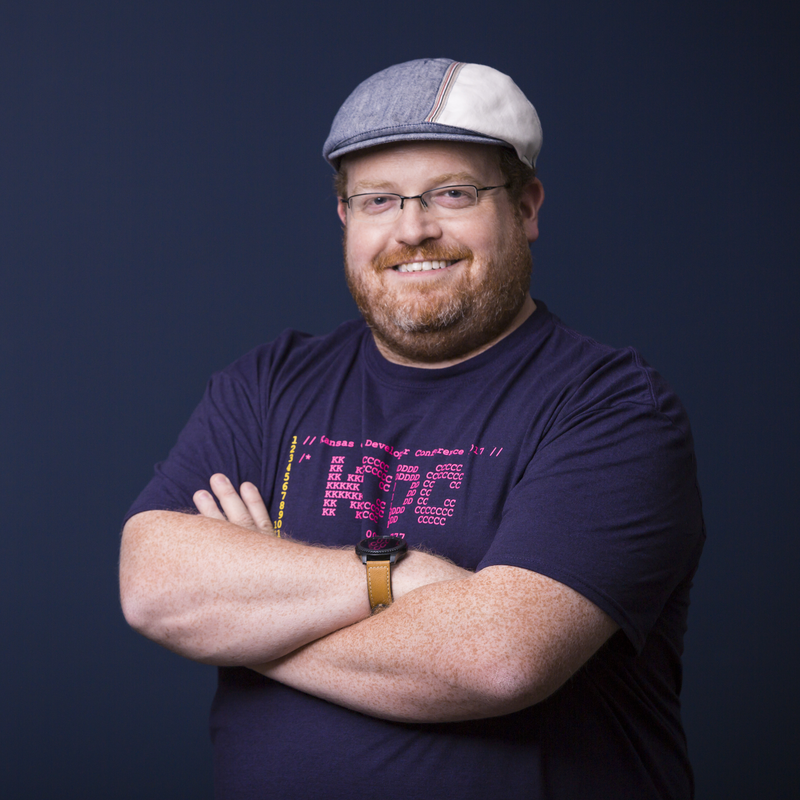 He has previously led UX product design teams, coached multi team agile transformations and architected and mentored at some of the largest companies in the world. As a long time community leader and former Microsoft Developer Evangelist Caleb is well known for his engaging speaking style, depth of knowledge and creative energy. 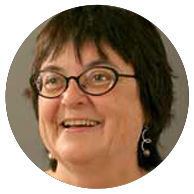 Founder and Principal Mentor at Proaction Mentors, former UX Manager and Agile Coach for Sabre, former Senior Architect for Six Flags Corporation and Sr. Product Cloud Architect for the Targetbase Marketing Platform. Caleb will come at you from multiple angles, he has the hip hop that doesn't stop, and to quote some other people "watching one of my new favorite speakers" (@JesseLiberty) and "to call Caleb a ball of energy would be an understatement", "had me laughing so hard I could hardly eat my nachos". You'll laugh, you'll have a great time, and you'll learn something while you're at it. 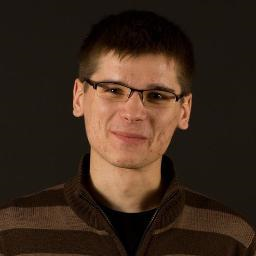 Marcin is a Polish-born and Polish-educated Software Engineer working at Microsoft. He considers himself a generalist: there is too much interesting stuff out there to focus just on one thing. 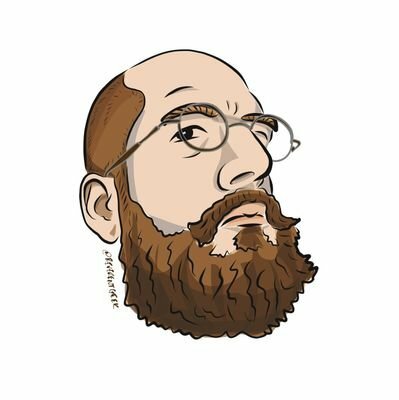 Having worked on both established, long-lived as well as new, from-scratch projects he has a unique perspective and strong opinions on what the right way of writing software is. He's currently working on bringing Microsoft Office Online into the world of Microservices. He's also a big fan of .NET, C#, and an active member of StackOverflow community. Breaking up the Monolith: It's not all unicorns and rainbows! 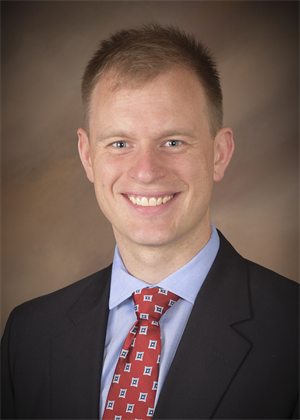 Gaines Kergosien is an associate director at UBS, organizer of Music City Tech conference, Microsoft MVP, and serves as board member for the Nashville Technology Council and Nashville .NET User Group. He also presents at software development conferences throughout the United States. With over 15 years in solutions development, his work includes consulting for such companies as Bridgestone, Deloitte, Hospital Corporation of America (HCA), American General (AIG), Lexis Nexis, Gibson Guitars, and Cardinal Healthcare. Brian Korzynski Sr. Software Engineer, NuArx Inc.
Brian Korzynski works as a software engineer at a PCI Compliacne and Managed Security company called NuArx, located near Detroit. During his 8+ years of experience as a developer he has done everything from database development with WinForms to enterprise level web applications. 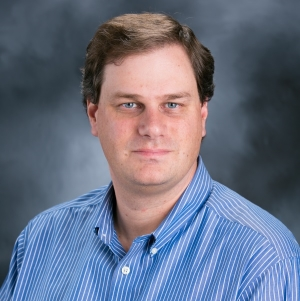 He specializes in software engineering, architecture, .NET, SQL Server, MVC, and mathematics. 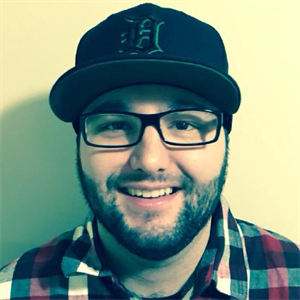 Ryan Lanciaux is a professional software developer in Ann Arbor, MI. Although he programs in several languages, his current area of focus is front-end development. Ryan attempts to contribute to the development community through his (often neglected) blog. 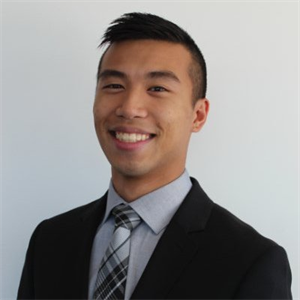 Kevin Leung is a Technical Evangelist at Microsoft working with students, startups and community developers in the Chicago metro and has recently been working with the Microsoft Bot Framework (.NET and Node) and ASP.NET Core technologies in the Open-source area alongside Microsoft's engineering teams. His interests include health and safety innovation with a focus on IoT, hardware and machine learning. Kevin holds a BS in Electrical and Computer Engineering from Rutgers University School of Engineering Class of 2016. His undergraduate career includes a focus with Operating Systems, Embedded Systems, FPGAs and graduate work in VLSI. 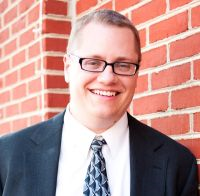 Jason is a Site Reliability Engineering Lead at Clearent LLC. Although he has spent most of his career as a software developer, his role as an SRE has him solving problems in a number of languages and operating systems trying to automate self-healing and self-diagnosing systems. 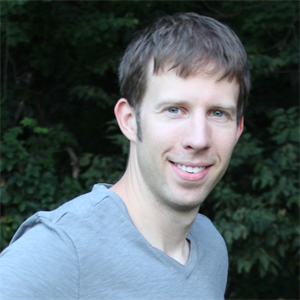 Jason holds a Bachelor's in Computer Engineering from the University of Missouri-Rolla (now Missouri Science & Technology) and an MBA from Webster University. When he's not writing or thinking about software he is probably wearing down another set of running shoes, camping, hiking, or planning his next batch of homebrew. On occasion he'll tweet using @jmloeffler or blog at https://hobbylog.blogspot.com. 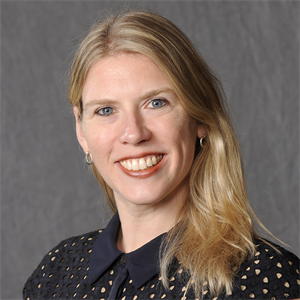 Jennifer Marsman is a Principal Software Development Engineer in Microsoft’s Developer and Platform Evangelism group, where she educates developers on Microsoft’s new technologies. In this role, Jennifer is a frequent speaker at software development conferences around the world. In 2016, Jennifer was recognized as one of the “top 100 most influential individuals in artificial intelligence and machine learning” by Onalytica. She has been featured in Bloomberg for her work using EEG and machine learning to perform lie detection. In 2009, Jennifer was chosen as "Techie whose innovation will have the biggest impact" by X-OLOGY for her work with GiveCamps, a weekend-long event where developers code for charity. She has also received many honors from Microsoft, including the “Best in Role” award for Technical Evangelism, Central Region Top Contributor Award, Heartland District Top Contributor Award, DPE Community Evangelist Award, CPE Champion Award, MSUS Diversity & Inclusion Award, Gold Club, and Platinum Club. Prior to becoming a Developer Evangelist, Jennifer was a software developer in Microsoft’s Natural Interactive Services division. In this role, she earned two patents for her work in search and data mining algorithms. Jennifer has also held positions with Ford Motor Company, National Instruments, and Soar Technology. Jennifer holds a Bachelor’s Degree in Computer Engineering and Master’s Degree in Computer Science and Engineering from the University of Michigan in Ann Arbor. Her graduate work specialized in artificial intelligence and computational theory. Jennifer blogs at http://blogs.msdn.microsoft.com/jennifer and tweets at http://twitter.com/jennifermarsman. Over the past 19 years, I’ve been involved in a number of positions within Computing and Technology ranging from Desktop and Network Support, to Application Lifecycle Management, to Information Security and Development. I currently work for TCC Software Solutions as a Senior Software Architect and Development Manager and I was awarded the Microsoft MVP award in 2016. My interests include language design, large scale computing, information security, and almost anything DevOps related. Cory Mouton discovered his passion for programming during 8th grade summer vacation when he took a Dark BASIC programming class — and he’s been hooked ever since. 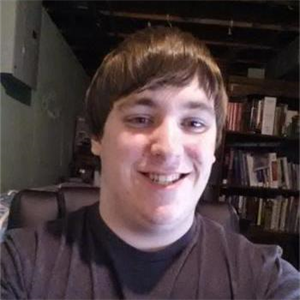 Throughout school, Cory focused primarily on Development, C++ and Java. After graduating, he joined United Shore as a Programmer writing Scheme code. (He still considers himself a semi-specialist in Scheme.) 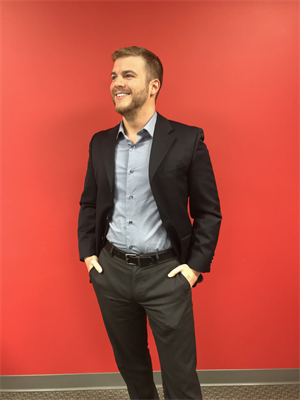 Thanks to his expert skillset, he was quickly promoted to Team Lead where he worked with Developers and Business Analysts to launch projects. 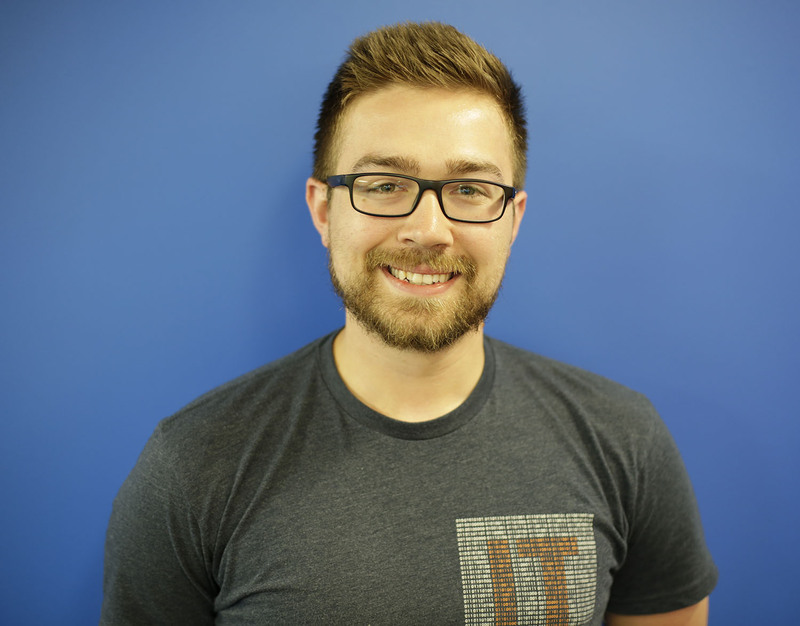 Now just four years later, Cory is the Vice President of Application Development focusing on the health of App Dev. His team consists of over 100 Developers who work in a full Microsoft Stack. They also utilize Scheme code for a legacy system, SQL, C# and a plethora of front-end development tools. 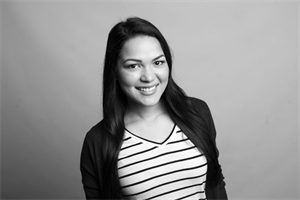 Sheila is an Experience Designer at VML, a global digital agency headquartered in Kansas City. Her background in web design/development and curiosity about people led her into the wonderful world of user experience design, and she's never looked back. Prior to working in Kansas City, Sheila cut her teeth at both small and large agencies in Austin and Chicago. Sheila has delivered results for a large range of clients, from B2B, to pro-bono and goverment clients, to large corporate clients. Most recently, her work on Ford Credit won a Shortlist at Cannes. Sheila is a certified ScrumMaster and Google Analytics Academy certified. 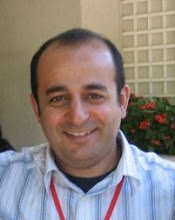 Sam Nasr has been a software developer since 1995, focusing mostly on Microsoft technologies. Having achieved multiple certifications from Microsoft (MCSA, MCAD, MCTS, and MCT), Sam develops, teaches, and tours the country to present various topics in .Net. He’s involved with the Cleveland C#/VB.Net User Group, where he has been the group leader since 2003. 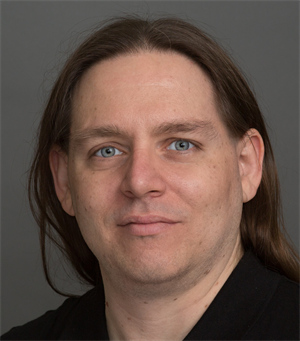 In addition, he’s the leader of the .Net Study Group, an author for Visual Studio Magazine, and a Microsoft MVP since 2013. When not coding, Sam loves spending time with his family and friends or volunteering at his local church. 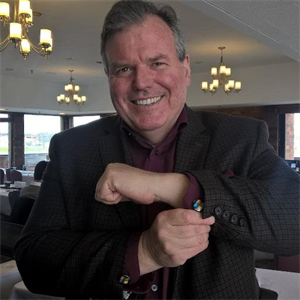 David Pine is a Technical Evangelist, Microsoft MVP and Google Developer Expert working at Centare in Wisconsin. David loves knowledge sharing with the technical community and speaks internationally at meetups, user groups, and technical conferences. 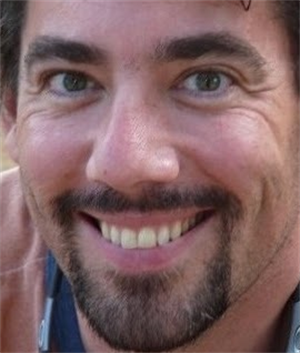 David is passionate about sharing his thoughts through writing as well and actively maintains a blog at davidpine.net. David's posts have been featured on ASP.NET, MSDN Web-Dev, MSDN .NET and Dot Net Curry. David loves contributing to open-source projects and stackoverflow.com as another means of giving back to the community. David sat on the technical board and served as one of the primary organizers of Cream City Code for going on four years. When David isn’t interacting with a keyboard, you can find him spending time with his wife and their three sons, Lyric, Londyn and Lennyx. Follow David on Twitter at @davidpine7. Used to be a researcher in Network Coding – A theory that believed among scholars will improve network throughput, efficiency and scalability, Wenbo had chosen to focus on an alternative technology -- Web Application for a much larger audience. 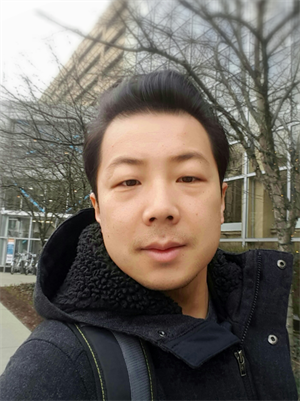 Currently Wenbo is a Software Engineer at Sift, where he mainly works on Elasticsearch and leads information security efforts. Wenbo has degrees of M.S. in Electrical Engineering and Computer Science respectively. Why advanced search is NOT really advanced? 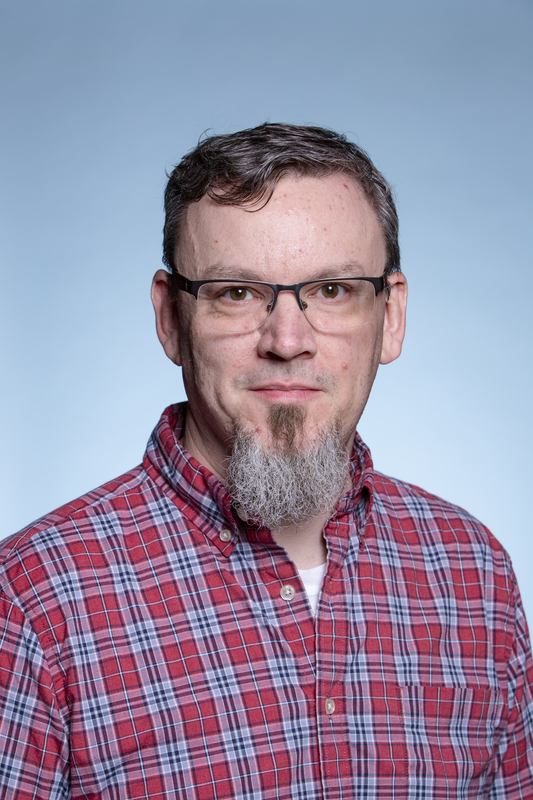 Matthew is a data science consultant with over 17 years of professional experience building large-scale data-driven desktop, server, and cloud-based applications. He is an international public speaker, an author for Pluralsight, a Microsoft MVP, an ASPInsider, and an open-source software contributor. His interests include data analytics, data visualization, and machine learning. 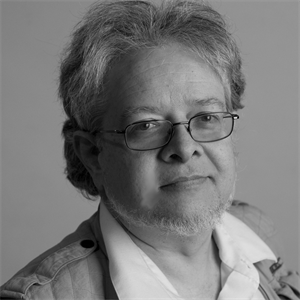 Peter has spoken internationally on a variety of topics including unit test design and management, asynchronous programming, advanced .NET language features and syntax, concurrent and parallel programming and distributed design. Jerome Scheuring Distinguished Engineer, VML, Inc. In a professional career spanning thirty-five years, working with systems from Apple II to Amazon Lambda, from microcontrollers to mainframes, Jerome has been a pioneer of technologies across the spectrum. His clients have ranged from small property-management firms to municipal governments, from health insurance companies to major retail firms. 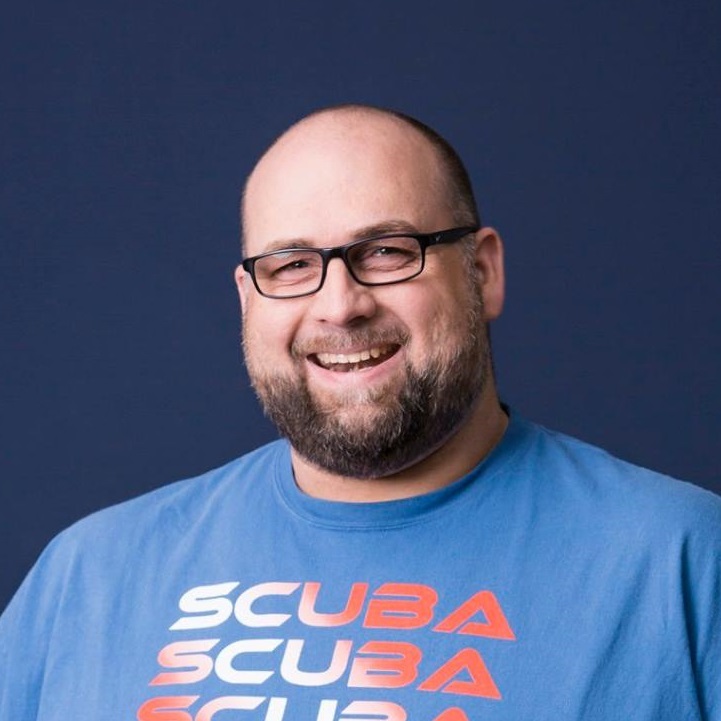 He has served as CTO for two Silicon Valley start-up companies, presenting to numerous clients and partners, and at conferences including JavaOne and CONNECTIONS. 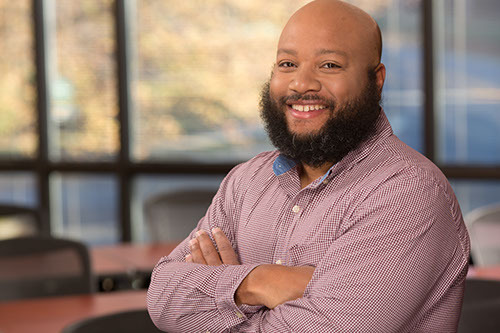 Jerome is dedicated to designing and building transformational software systems, discovering and promoting best practices, and facilitating strong, unified project teams. He maintains a keen interest in all facets of software development and technologies, with focal experience in machine learning, natural language processing, graph theory, and artificial intelligence. 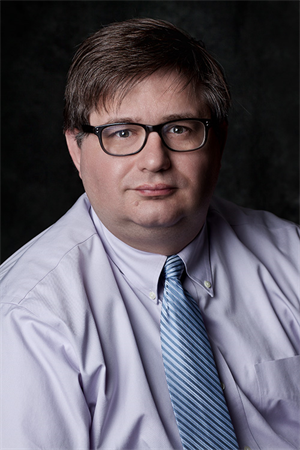 His published work includes book chapters in Professional Jini and Medical Applications of Artificial Intelligence, as well as two patent applications in the field of context and personalization. He currently serves as a Distinguished Engineer in the Technology practice at VML, Inc.. While not at work, he enjoys reading and spending time with his three kids and wife. 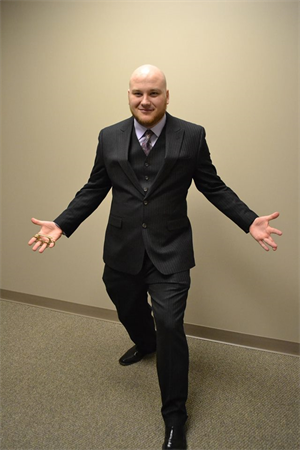 Mitchel Sellers, Microsoft MVP, ASPInsider, is the CEO of IowaComputerGurus, Inc. a West Des Moines, Iowa based software consulting organization. Mitchel enjoys sharing his experiences with others at local events and conferences. As a consultant and former educator, Mitchel tries to take a real-world approach to software development presentations. When not working with code you will find him flying around the US. As a professional software developer with almost two decades of experience, I have seen many development trends come and go and learned that there is not a shortcut to being a great developer. I enjoy teaching others what I have learned and try to mentor others whenever I can. I am a co-organizer of the Kansas City .NET User Group and love speaking at conferences. I am a creator at heart and have started multiple businesses over the years in a variety of industries. My latest venture is Alien Arc Technologies which allows me to take my ideas and give them form. I love quality in all things and I always try to provide the best quality in everything I do. If it is worth doing, then it is worth doing right. Jeff is both a software consultant and an attorney. Because of his unique experiences that combine technology and law, he is equally comfortable presenting to a room full of "geeks" or donning a suit to meet with corporate executives. He maintains a passion for solving problems with inspired solutions, improving life through technology. 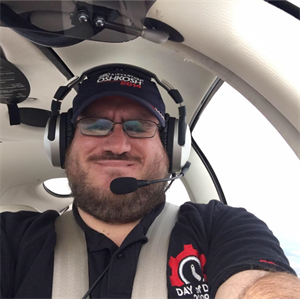 A dedicated member of the developer community, Jeff travels internationally to speak on both technical and business-oriented topics. 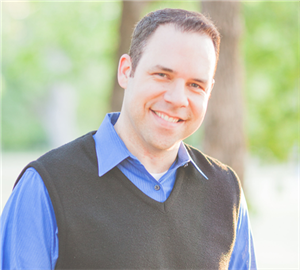 He is co-owner of Arana Software and a Microsoft MVP, was a lead organizer of Dev Up Conference for seven years, and now enjoys serving on the board of directors for the Kansas City Developer Conference. Richard L. Taylor Jr. is a 25 year software development and technology professional living in Huntersville, NC. His experience includes the design and development of small to enterprise class applications. He currently serves as Director of Engineering at SentryOne. As a result of his technical community work, Richard has received the Microsoft Most Valuable Professional (MVP) award in the Visual Studio and Development Technologies category. MVPs make up a global community of over 4,000 technical experts and community leaders across 90 countries and are driven by their passion, community spirit, and quest for knowledge. Richard has also received the Progress (Telerik) Developer Expert designation. DE’s are highly skilled, visible, and elite industry leaders who write, speak, help, and code using Progress (Telerik) products. There are 44 DE’s in 13 different countries who are ambassadors for Progress Products to the tech community. When not developing software, Richard is focused on spending time with his lovely wife Shondrecca (she gives the best hugs!!) and their five children (Richard III, Ayanna, David, Jonathan, and Stephen). Rob is a data-informed, self-starting business leader with strategic vision and in-depth experience in mobile product management. Driven by a passion for solving complex problems and creating world-class consumer products that delight users of all types with unified, intuitive experiences he is constantly striving to find the next innovation. At the core of professional style is a statistician who loves to understand what the data says, though willing to make innovative moves when the situation call for it. As a product manager in 2017, he realizes execution is as important idea. He comes to Amegala to speak on how he has used scrum and analytics to help his teams. Currently he is working at Overstock, listed by Forbes as a one of America's most trusted companies and best places to work and a leading online retailer for home goods. 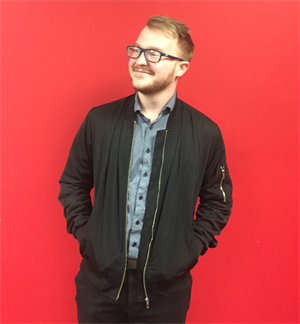 In the words of CEO Patrick Byrne, as their mobile app product manager, he operates as the general manager for the mobile apps. In other words this means he responsible for the profit and loss (P&L) of the iOS and Android apps, creating a mobile strategy and executing on the road map. Additionally, he directly manages 4 engineering teams (back-end, iOS, Android, QA), design team, an analyst and a PM, helping to create strong leaders that could help out across the entire Overstock portfolio of products. Recently Rob was nominated and selected to serve on Fobes Technology Council, a prestigious committee for tech executive level leaders. Throughout my career I've worked on many areas of development along with a handful of different languages. During my time with Hudl, I've played a large role on a variety of projects including front-end web development, large scale video processing, creating a microservice platform, and I now work with our R&D team on machine learning and computer vision problems, along with automating everything necessary for it. She currently lives in Las Vegas, NV. 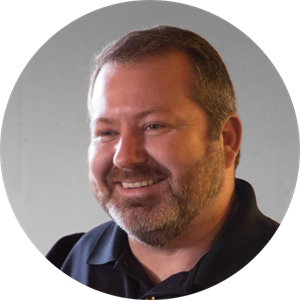 By day, Jim Wooley is a Solution Architect for Slalom Consulting, In his free time, Jim is a frequent speaker, MVP, and author of "LINQ in Action". He is always striving to stay at the forefront of technology and enjoys the thrill of a new challenge. He has been active evangelizing LINQ since its announcement in 2005. 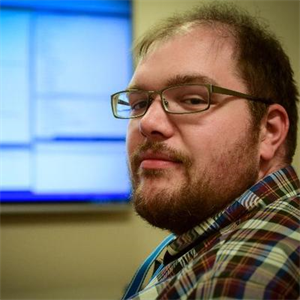 In addition, he attempts to pass on the insights he has gained by being active in the community, including organizing and speaking at code camps and regional events, including Nebraska.Code, MIX, VS Live, CodeMash, KCDC, That Conference, DevWeek, and CodeStock.